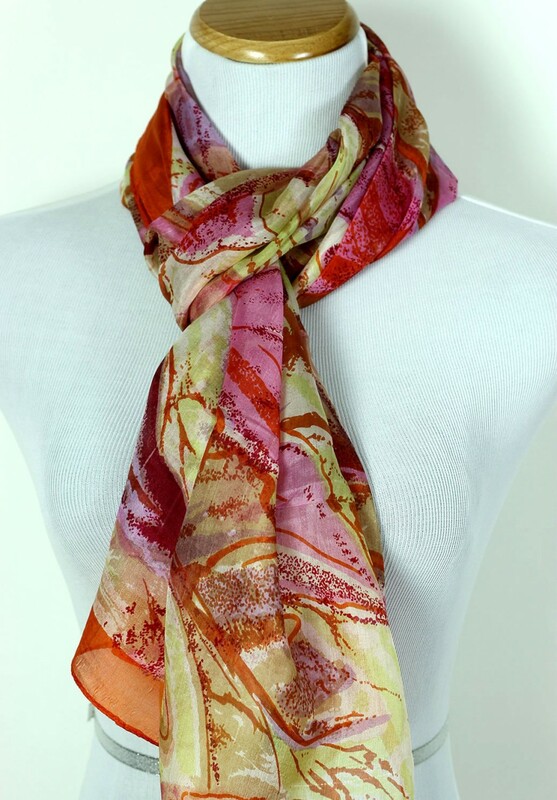 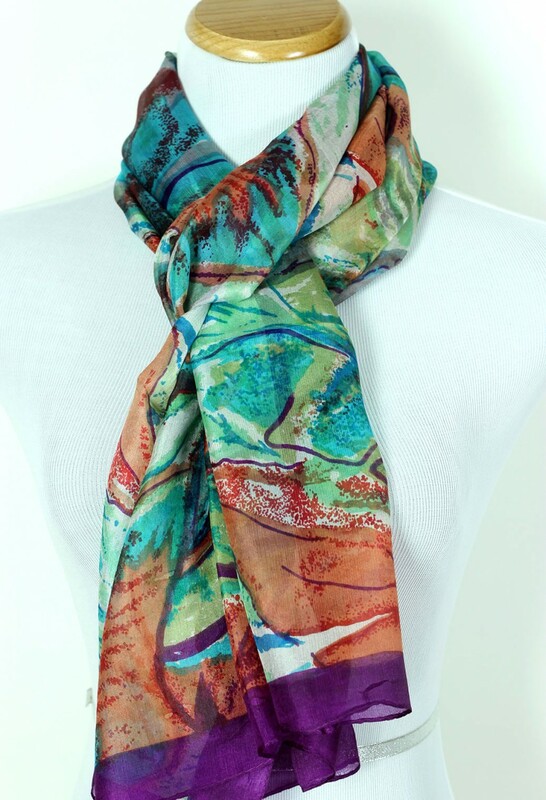 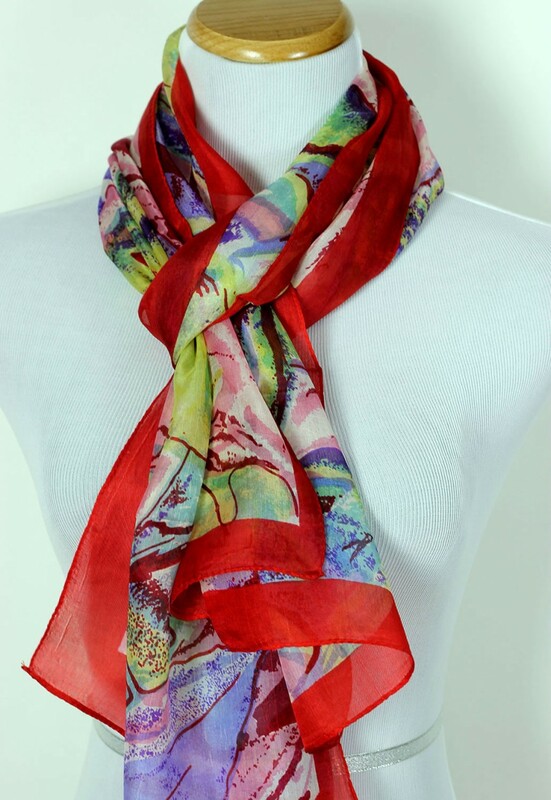 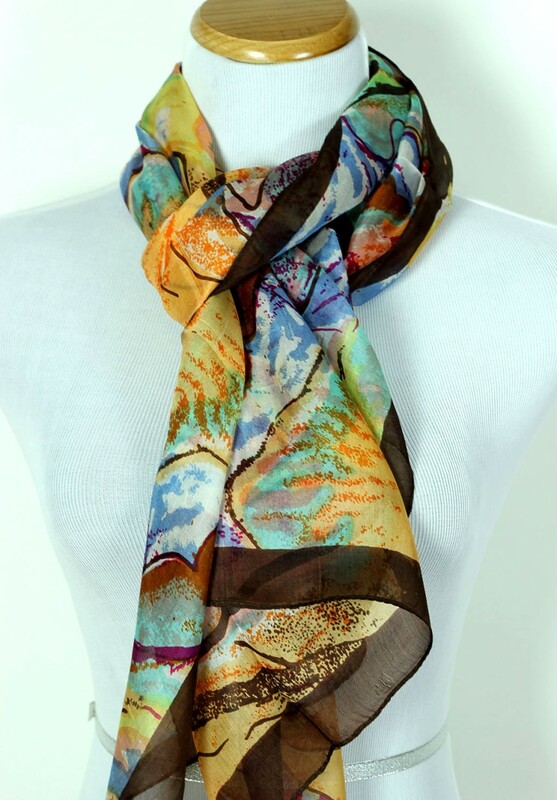 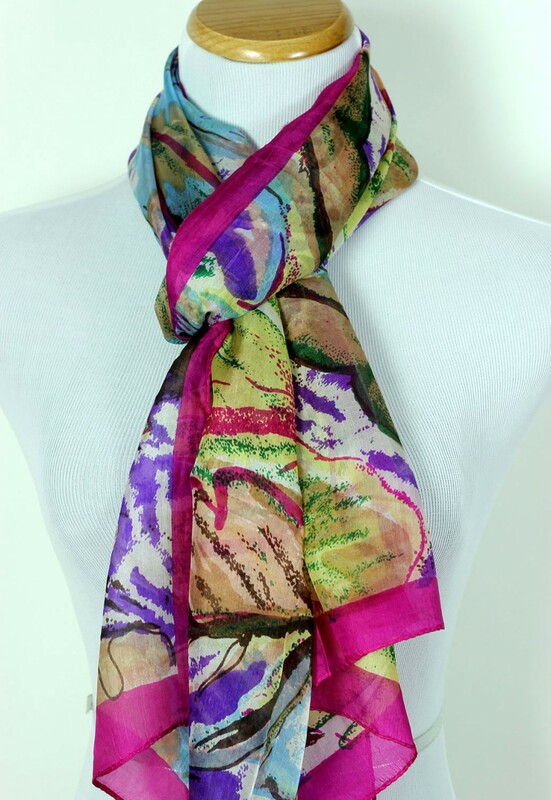 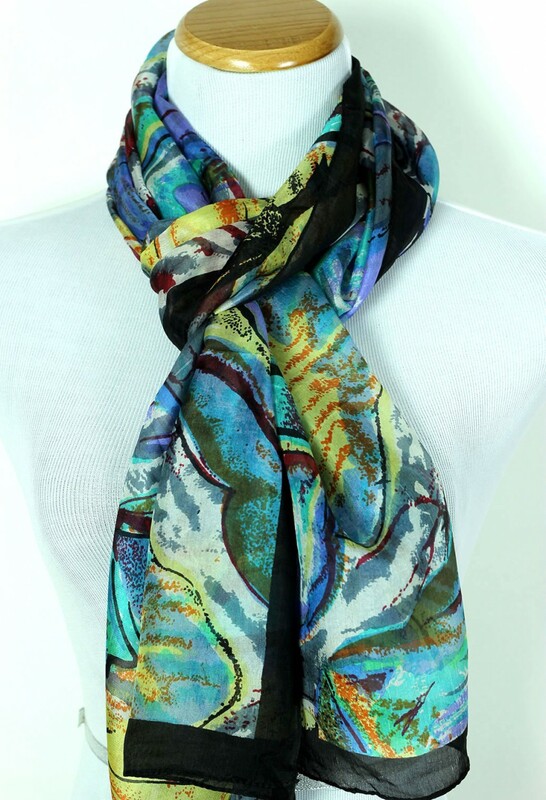 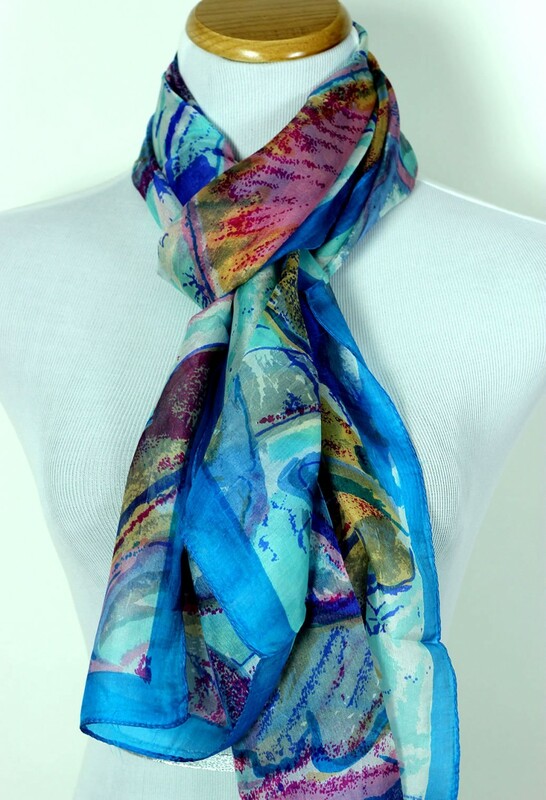 This soft, elegant, and stylish pure silk scarf makes a statement with its romantic and artistic look. 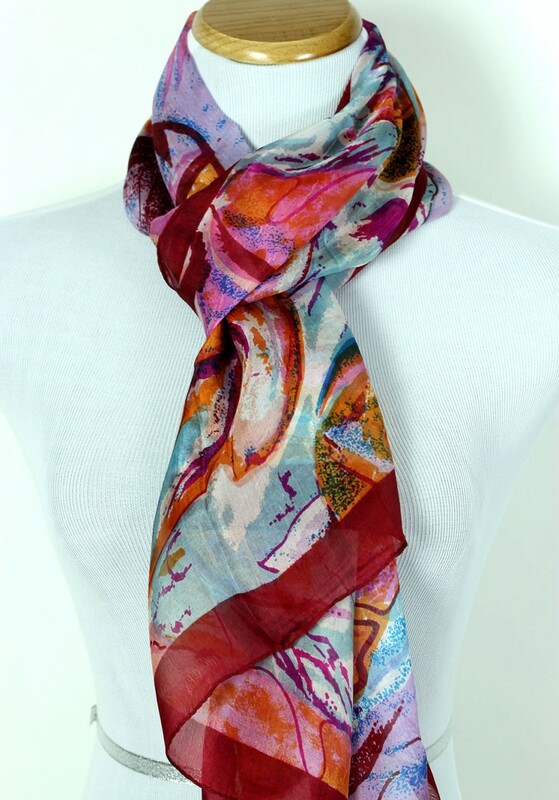 Wrap yourself in this sophisticated and elegant artistic print silk scarf and combine it with your favorite dress or outfit. 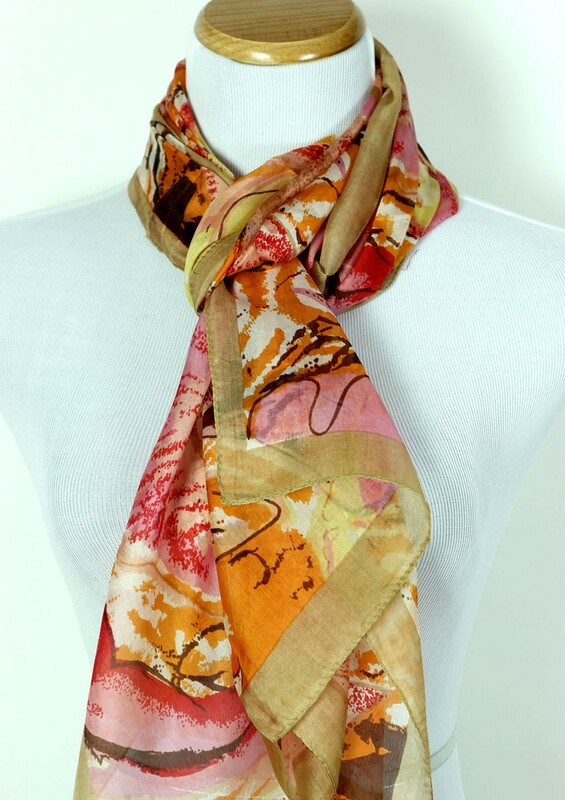 This exclusive scarf has been crafted with high quality silk in India and brings a splash of vibrant mixed colors throughout the entire design. 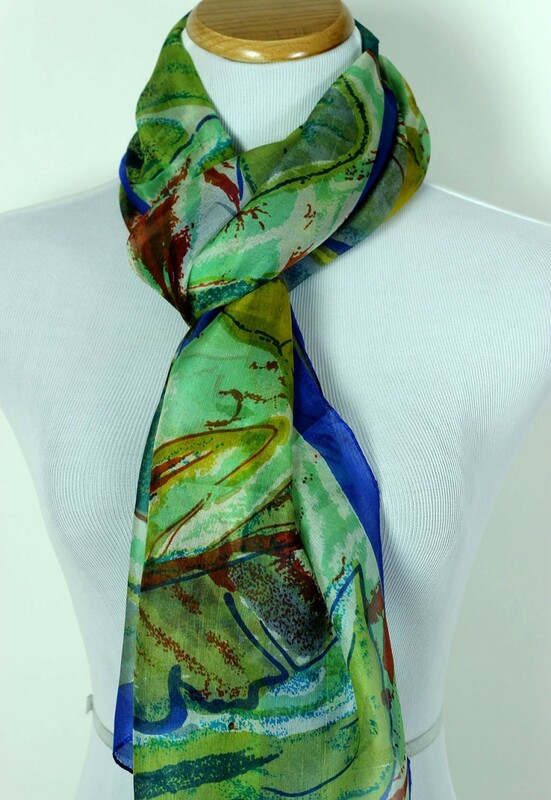 Perfect for adding a colorful accent to your wardrobe any time of year.